This is a test for Westing Game with answer key included. I gave this test after we completed Chapter 19. I give a final test at the end of the book. 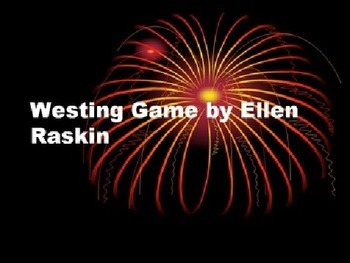 If you haven't taught Westing Game, you must! It's the best mystery book written and the kids love it. Before the book begins, give each student a character. Have them pretend they are that character during class discussions. They love it when they're character comes up in the book! You can predict like crazy in this book! I sometimes just sit back and let them discuss their predictions! It's so much to see their little brains work.